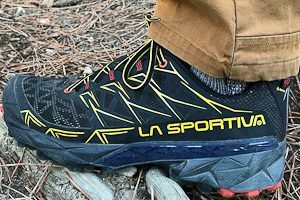 Our expert hiking and backpacking shoe testers do extended field testing and rate each product on objective criteria to determine the best hiking shoes. 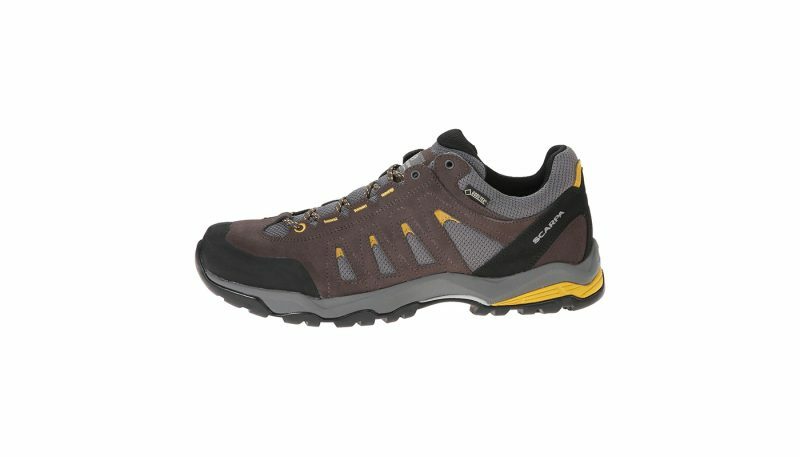 For our reviews of the best hiking shoes and boots, we split the reviews into Hiking Shoes, designed primarily for day hiking on relatively smooth surfaces like well-maintained trails, Light Hiking Boots also designed for day hiking capable of tackling more rugged terrain, and Hiking Boots, also known as backpacking boots, designed specifically for longer, overnight hiking trips carrying a larger backpack and heavier load. 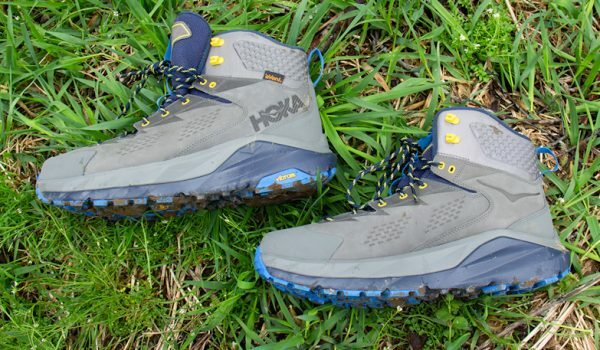 We also review Winter Hiking Boots which include more insulation for outings in the cold. Wearing a hiking shoe that aligns perfectly to your individual hiking style is one of the most critical factors in determining your comfort level on, and enjoyment of, all the wonderful trails out there. A good hiking shoe provides the support and protection your feet and ankles require and limits potential for foot or ankle discomfort or injury. Quality footwear protects your soles from inevitable fatigue caused by repeated pounding against earthen surfaces, safeguards your toes from bruising when connecting with rocks or boulders and provides needed traction on steep inclines and slick surfaces. 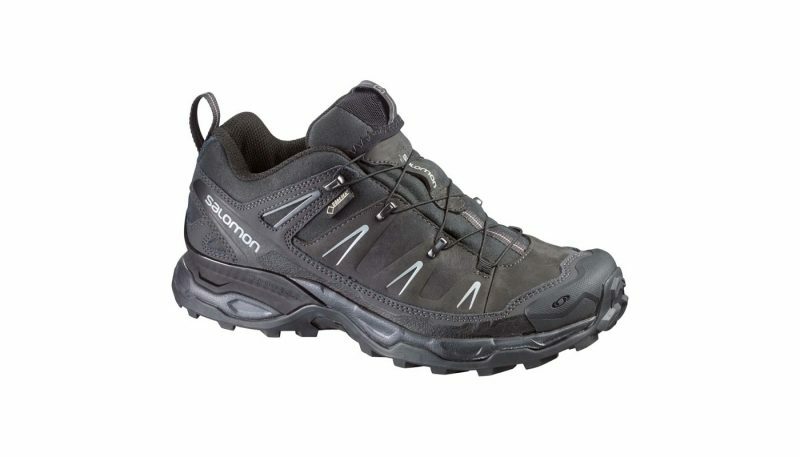 Mid-rise hiking shoes offer additional ankle support to reduce twisting on uneven trail sections. Backpacking boots are specifically engineered to help support heavy loads and protect feet from fatigue when hiking long distances. 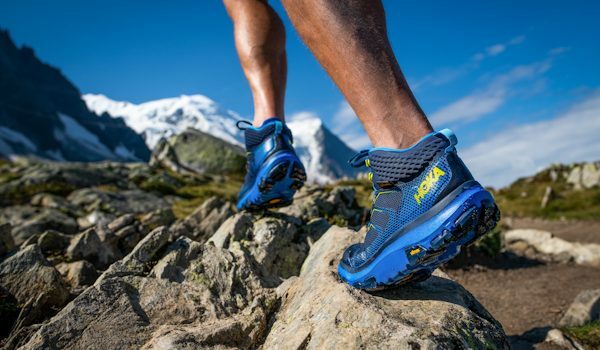 Below are five important factors to consider when selecting the right hiking shoe, or hiking or backpacking boot, for you. After reading through each section, dive into our reviews comparing individual products. This way, you’ll be able to confidently choose the perfect footgear to match your specific needs. If your idea of a pleasant hike is a one- to three-hour excursion, on a relatively flat and easy trail, then you would be best served by a lightweight hiking or walking shoe. These shoes tend to be flexible, provide some cushioning and protection for the soles of your feet, and maintain a low weight factor. They provide a level of traction appropriate for use on unpaved surfaces and come in breathable and waterproof options. 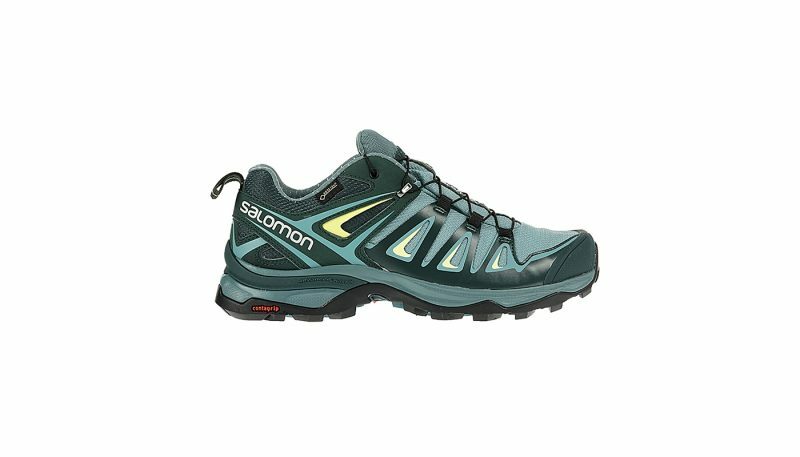 Read our reviews of lightweight trail shoes to determine which is best for you. 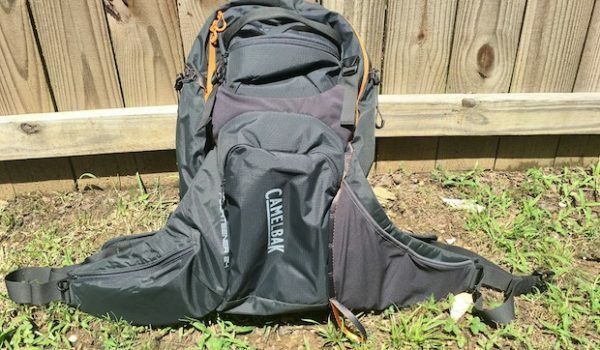 If you are an avid day hiker, who enjoys getting out on trails of various lengths and surfaces, carrying a daypack with water, snacks and other small essentials, there are a number of light hiking boot options available to meet your needs. 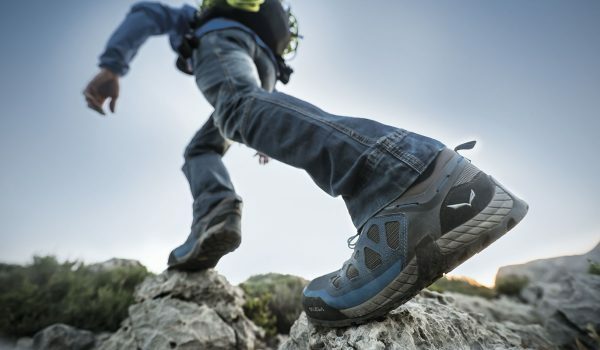 Important factors to consider when choosing the right light hiking boot for you will include: weight, cushioning, protective toe and foot guards, traction, breathability and/or waterproofing and durability (see section 4 below). Check out our comparative reviews to find the best light hiking boots on the market. If your hikes fall into the realm of backpacking, which includes camping in the great outdoors, you’ll be carrying a heavier load on your back and a backpacking boot may be your best option. These boots are specifically engineered to help support heavier loads. Higher ankles and stiffer construction serve to distribute the weight and to support and protect your feet and ankles where it counts the most. Hiking boots are a bit heavier, due to the increased protection. They are typically very durable, waterproof and offer good cushioning and great traction. 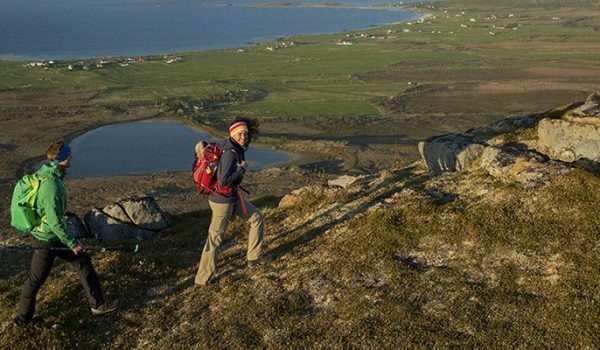 Look through our expert reviews to find the perfect backpacking or hiking boot for you. Another important consideration in choosing the right hiking shoe or boot for your specific needs is ankle support and stability. This becomes apparent by observing how much your ankles do, or don’t, flex to the left or right, especially while hiking on uneven surfaces. Some hiker’s ankles tend to remain mostly upright while hiking, while others have the tendency to flex and roll. If your ankles tend toward the later, you could benefit from additional ankle support in your footgear to help protect against twists or sprains. If you have strong ankles, and don’t usually roll on angled or uneven terrain, then a hiking shoe may be your best option. The advantages of a shoe over a boot are their lighter weight, lower bulk and cooler wear. The obvious disadvantages are their lack of ankle support and decreased protection in wet or muddy conditions due to their lower collars. If your ankles tend to flex and roll while hiking, a mid-rise hiking shoe or boot could be your best choice. Both of these options offer increased ankle support through higher collars and increased padding – which varies by brand. An additional benefit is added protection in wet or muddy conditions. The tradeoffs are a slightly heavier weight and a slightly warmer wear. When backpacking, an even higher cut and stiffer backpacking boot is recommended regardless of ankle stability. When determining the fit of your shoe or boot, be sure that there is a small amount of space remaining between your toes and the interior front. 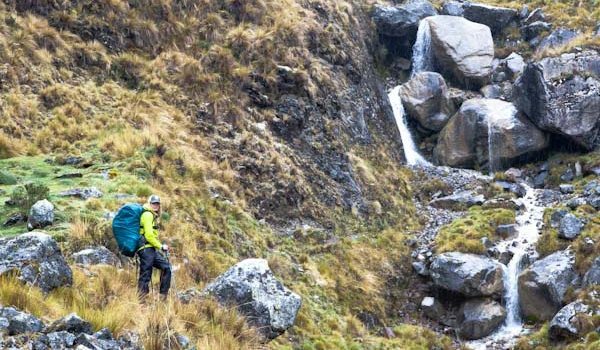 You will need this breathing room to accommodate both minor hiking-induced swelling and some inevitable forward and backward movement when trekking up and down hills. If your toes touch the front, the fit is too small. Your toes will thank you for a proper fit that keeps them from banging against the front of the boot when hiking downhill, thus avoiding discomfort and bruising. Every foot is unique. And width is an important factor in determining overall fit and comfort. The toe box, which houses the widest part, or ball, of your foot needs to be just cozy enough for your particular build. Pay attention to this area, aiming for a fit that is comfortably snug, but not at all squeezed or gaping. Different brands use different lasts, thus, different toe box widths. These are worth noting and comparing to your specific shape and needs. 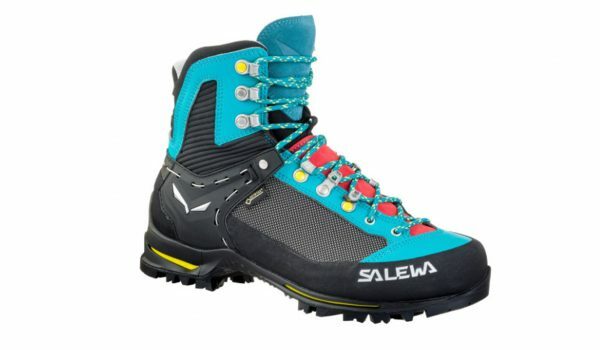 Two technical components of hiking and backpacking footwear that offer some flexibility of fit are the lacing system and padding around the tongue and ankles. The highest quality lacing systems have ample holds, often connected to diagonal sections along the sides of the shoe or boot, to provide a broad range of adjustment. Textured laces, with loop holds, stay in place once adjusted to your foot. Shoes or boots with ample padding on the interior of the tongue and around the ankles flex to accommodate the particular requirements of individual feet. Gravity rules. And trekking up and down hills will encourage your feet to slide forward or backward within your shoe or boot. For optimal protection, your footgear should hold your foot securely in place around both the heel and the center to minimize this movement and to protect your toes and heels from banging and bruising. Technology has come a long way in advancing heel holds for this purpose. The best footgear has built-in, state-of-the-art, molded heel cups. Although it may seem like a minor performance feature, the ability to get your hiking shoes or boots on and off with ease is an added bonus. Look for pull-tabs at the back and an easy-to-use lacing system as well as laces that knot well to hold tight during a day of walking. Elevated body temperatures and sweating are an inevitable part of hiking the trails. 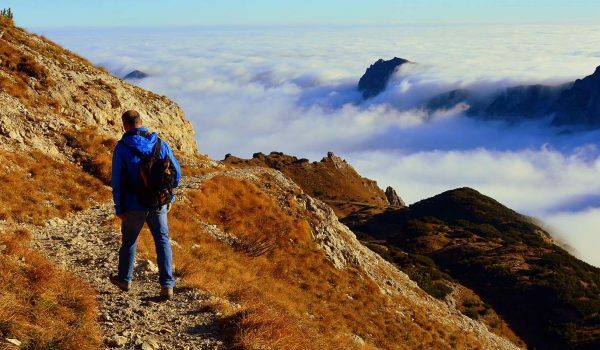 For this reason, quality hiking and backpacking footwear products typically incorporate uppers constructed with porous materials (such as leather, split leather or durable high-tech fabrics), ventilated mesh panels and/or moisture wicking interior liners. All of these work to keep air circulating in, out, and within the shoe or boot – keeping feet dry, comfortable, and reducing the potential for blisters. Small pebbles, dirt and other debris that gets kicked up on the trail can be irritating when it works its way inside a shoe or boot. Features such as gusseted tongues and well-padded ankle collars form a barrier to help keep trail detritus out. If you expect to hike in wet conditions or weather, waterproofing is another factor to consider. 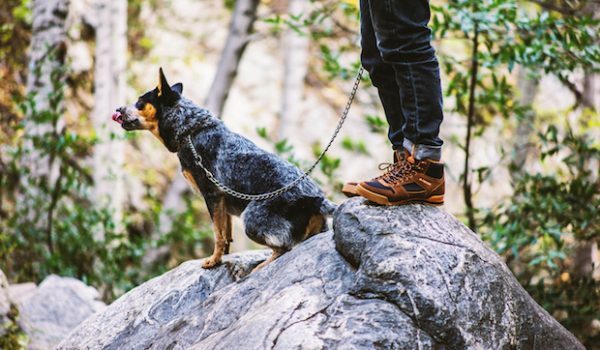 Look for hiking shoes or boots with uppers constructed with waterproof materials such as treated leathers or textiles, built-in waterproof membranes (often combined with moisture-wicking textile linings) and sealed seams. Hikers with flexible ankles and backpackers carrying heavy loads can both benefit from increased ankle support in their hiking boot. 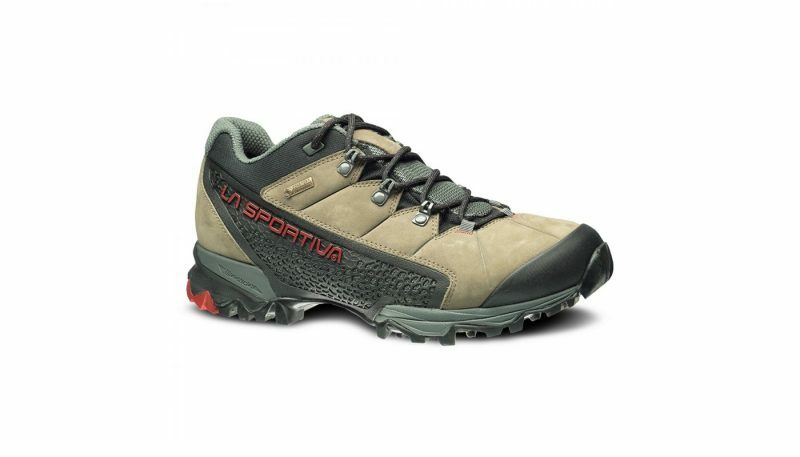 Mid-rise hiking boots offer a shaft that cradles the ankle and adds support. Backpacking boots have an above-ankle shaft. Their sturdy construction is designed specifically for maximum support and protection when carrying heavy loads. A quality lacing system is essential in a hiking boot and should provide a firm, yet customizable, fit to hold the foot in place and allow comfort adjustments during long hikes. Look for ample padding along the shaft in both mid-rise hiking boots and backpacking boots. Padding increases both support and comfort and keeps laces from digging into the skin. Other benefits of higher shaft boots include protection against ankle scrapes and a better barrier against mud and trail debris. The reduced ankle flexibility of higher shaft boots can be a downside on irregular trails, leading some hikers to prefer hiking shoes. Toe and heel guards, built onto the exterior upper surface of a hiking shoe or hiking boot, offer important protection against rugged trail surfaces. It is inevitable that toes and heels will come into contact with hard rocks and jagged surfaces on the trail. Look for added impact-absorbing leather or rubber layers around the toe, heel and sometimes along the lower sides of the shoe or boot. Technological advancements in insole materials and construction have led to wonderfully improved cushioning and comfort. 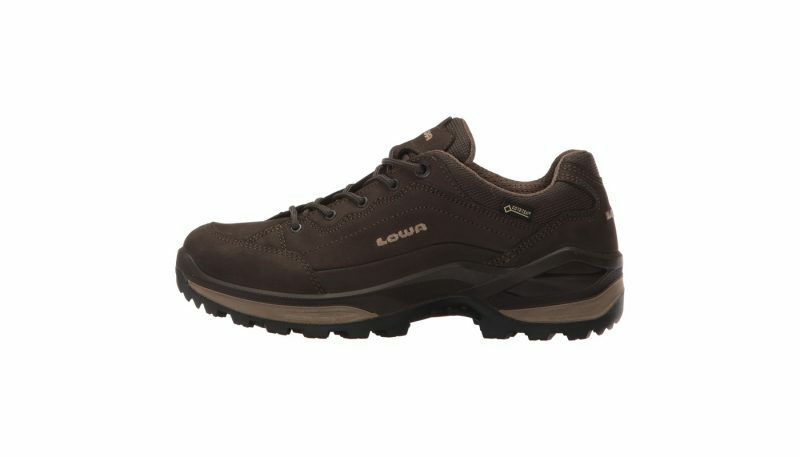 A good hiking shoe, or hiking boot, will have sculpted insoles that cushion and cradle the foot. Quality insoles combine mid-density padding throughout with high-density arches for added cushion and stability. 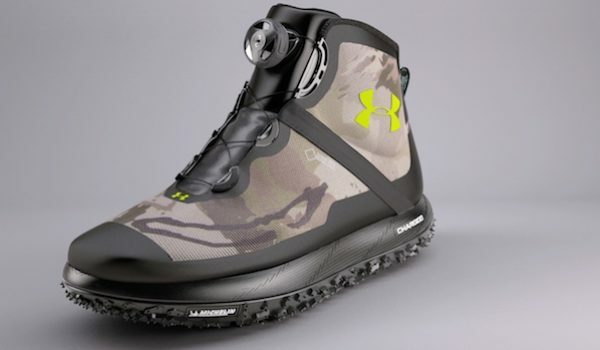 Their high-tech molded form helps keep feet in place, minimizing forward and backward slide on hilly trails. Some manufacturers supply multiple inserts to increase or decrease padding as needed. Look for a moisture-wicking layer on top of the insoles for increased airflow, reduced sweat buildup and blister minimization. There’s also the option of purchasing a third party insole. The invisible midsole is the true workhorse of any hiking shoe or hiking boot. 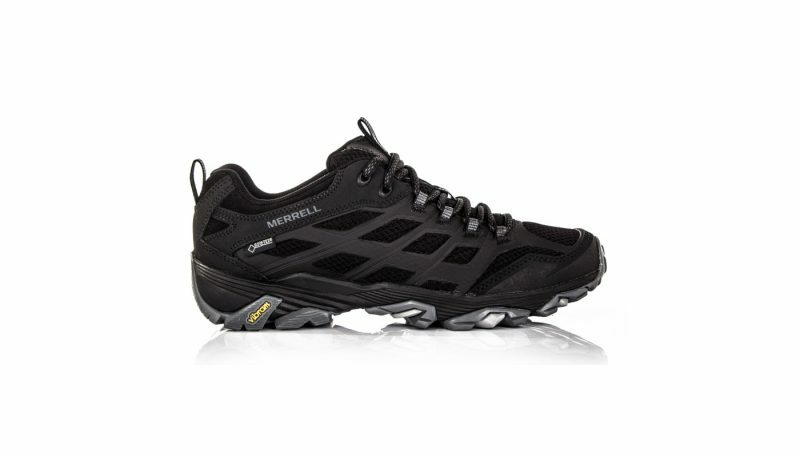 It functions to shield the soles of the feet from impact on the trail. Advanced materials such as EVA (Ethanol-Vinyl-Acetate) and polyurethane and nylon are used, in varying thicknesses, to create stiffer or more flexible midsoles and/or shanks. Thinner, lighter and more flexible hiking shoe midsoles offer increased trail surface sensitivity (often appreciated by trail runners) and can help add spring and increased energy as the foot folds and unfolds. The trade-off is in reduced protection against rocks and roots. 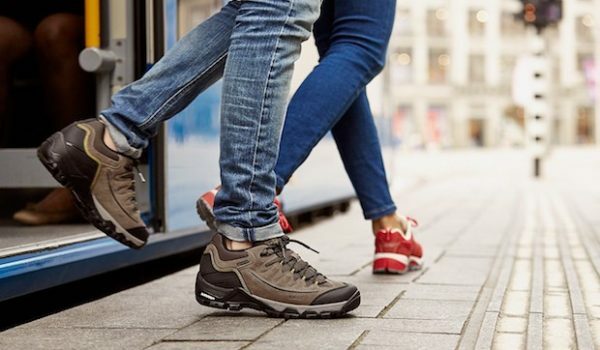 Thicker, slightly heavier and stiffer midsoles help keep feet from tiring from continual shifting and wrapping around uneven surfaces, especially on longer hikes. 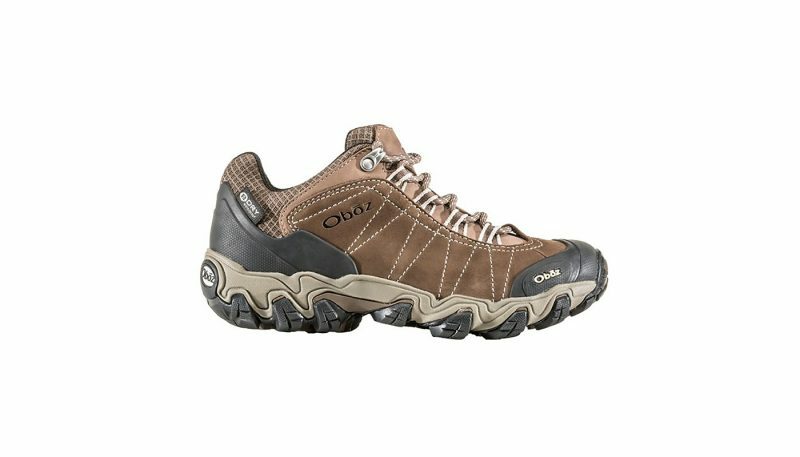 They further provide essential protection against impact with jagged rocks, talus and other protrusions on rugged trails. There are wide variations in the thickness and stiffness of midsoles available in the market. 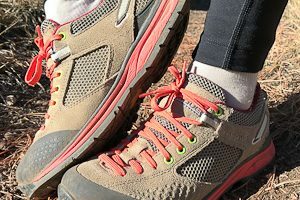 Shanks and/or plates are sometimes inserted between the midsole and outsole in hiking and backpacking footwear as an added layer of protection and provide load-bearing stiffness in backpacking boots. Shanks can run along just the center of the boot, retaining flexibility in the ball of the foot, or along the full length, for a stiffer boot with heightened sole protection and weight distribution. After the midsole, the quality of the outsole on a hiking shoe or boot is the most important feature in determining the ultimate performance of the product. Outsoles affect the level of cushioning, traction and, to a certain extent, flexibility of the shoe or boot. Outsoles, molded from flexible gripping plastics, and equipped with protruding, technically shaped lugs, create a hiker’s “hold” on the trail. Lugs can range from 2mm to 5mm in height. Their engineered angles and shapes work to grab onto loose dirt, gravel and uneven surfaces while also sloughing off mud and water. Shallow lugs and less “sticky” outsoles are suitable for easier, even surfaced hiking. While rugged trails, steep inclines and weather call for the added performance of deep lugs and technically advanced gripping materials. Outsoles can be molded wide, for enhanced trail contact, and may also curve up onto the sides of the shoe or boot for added traction and protection. 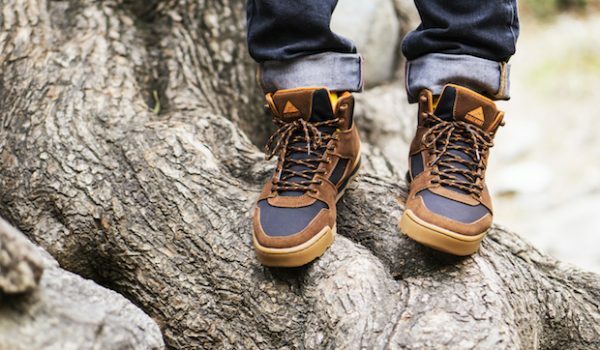 Thicker outsoles absorb the shock of trail impact more efficiently and are recommended for lengthy hikes. However, they are a bit less flexible than thinner outsoles. How long a hiking shoe or boot lasts is dependent on the quality of both its materials and construction. All parts of a shoe or boot should be able to stand up to repeated scuffs and scrapes. Uppers should have enough heft to not buckle and lose shape where they continually flex around ankles and bend above toes. Outsoles should resist compacting too quickly as the miles accumulate. And sturdy seams, thick durable textured laces, and well-wrought attachments between the various components should hold up to strenuous use. Better quality materials and construction do tend to cost a bit more, but may not be needed for an occasional, or casual, day hiker. 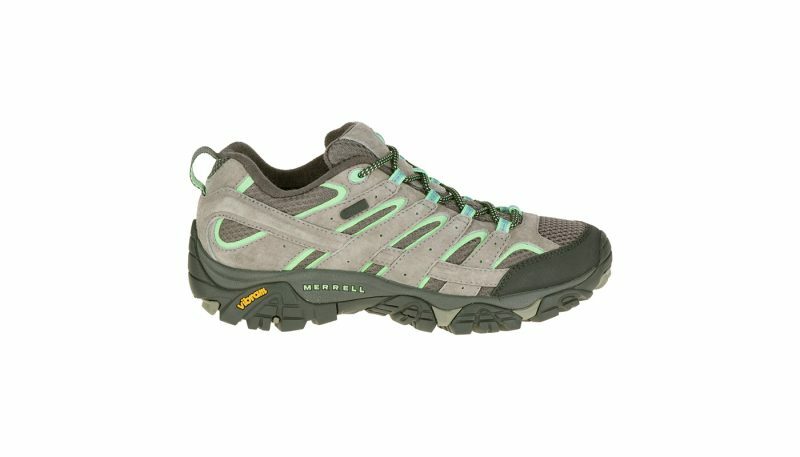 The price associated with different hiking shoes, or hiking boots, definitely varies. But a higher price doesn’t always signify that a product is best suited to every need. For instance, a casual day hiker will require a less technically advanced and robustly constructed shoe or boot than a backpacker carrying a heavy load for multiple days. Some hikers or backpackers prioritize flexibility and weight over protection when choosing their shoes or boots. And all of those factors can influence price. The above information, combined with our individual product reviews, will hopefully allow you to make an informed decision and to find the product that performs best for your individual needs. There are many fantastic options to choose from. Happy hiking! Have You Ever Wanted Fat Tire Performance From A Boot?